The Sittingbourne and Sheppey Labour Party is organised geographically within the Sittingbourne and Sheppey Parliamentary Constituency, as it was set up by the Boundary Commission before the 1997 General Election. The constitution of the Local Party has recently changed to accommodate the Teynham and Lynsted ward which is now a part of the constituency. Up to the General Election of 1992, the local party was known as the Faversham Constituency Labour Party within the old Faversham constituency boundaries. The party was first formed after 1918, and the Faversham constituency was represented by Labour MPs Percy Wells and Terry Boston, between 1945 and 1970. The Constituency Party is divided into two branches; the Sittingbourne Branch manages local campaigning in the mainland part of the Constituency, whilst Sheppey Branch looks after the Island. The Sittingbourne and Sheppey constituency was represented by Labour MP Derek Wyatt, after 27 years with a Tory MP, from 1997 to 2010. Since our defeat in the 2010 General Election, the local Party has become one of the most active CLPs in Kent, hosting regular campaign Action Days and Forum Meetings open to all members and supporters with guest speakers, resulting in a marked improvement for us in the 2011 Swale Borough Council elections. 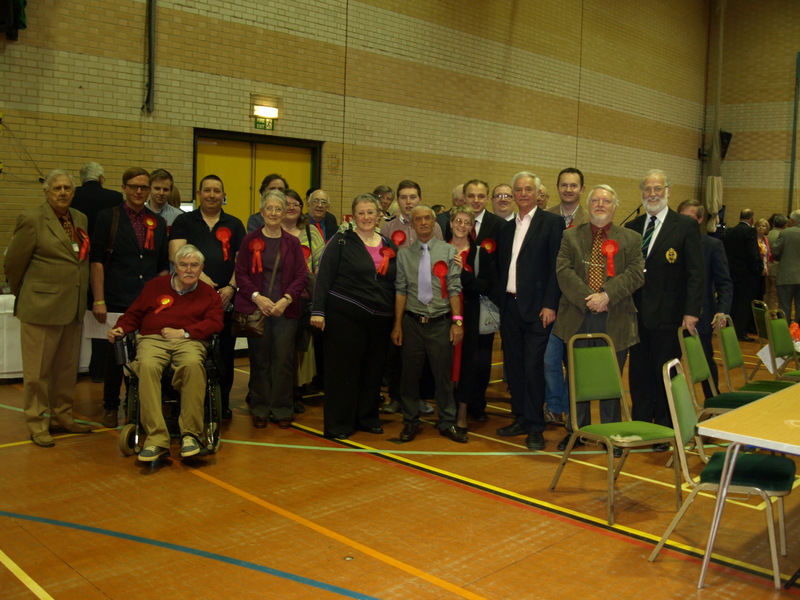 At the Kent County Council elections in May 2013 we gained two seats, one in Swale Central and Sheerness, putting us back into the position we were at in 2005 when we last won the Parliamentary seat. In May 2015 we were defeated in the General Election but also only four of our 13 Swale Council seats were retained. We continue to be an active Local Party. Please contact us to find out more. 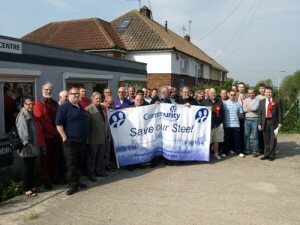 Labour activists and supporters with Community Union members for the Sheppey Campaign for Jobs, Spring/Summer 2012.